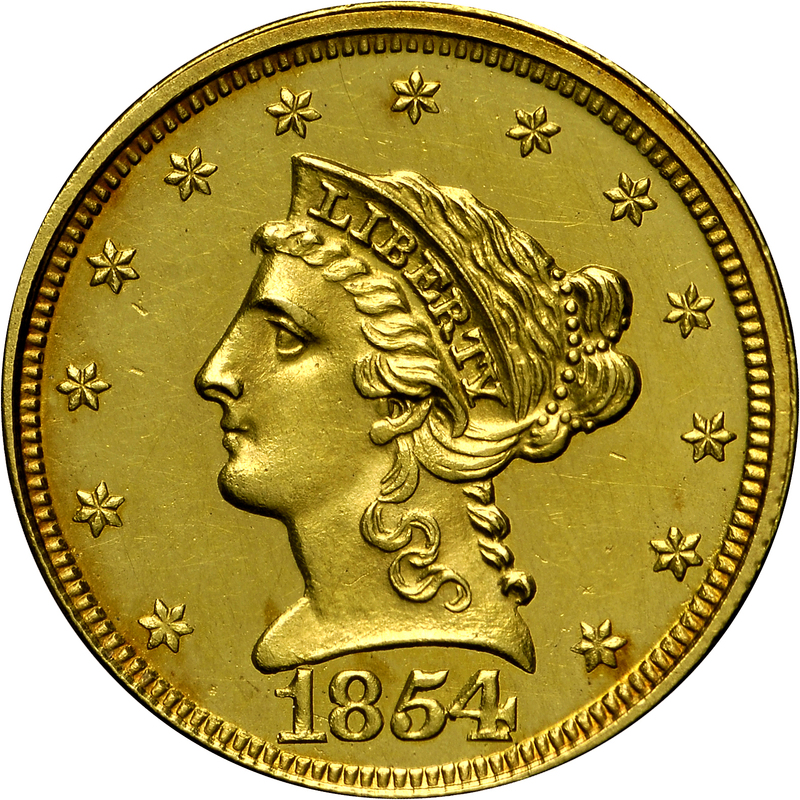 This design was standard for gold coinage from 1838 to 1908, although first used for quarter eagles in 1840. 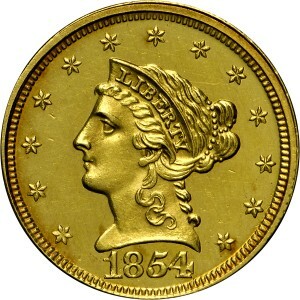 Christian Gobrecht prepared this new obverse design, common to all gold denominations in production at that time. 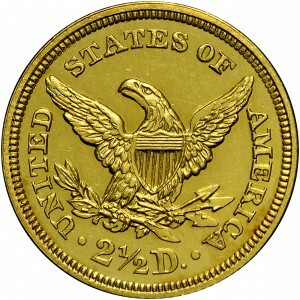 His reverse design is merely a modification of the earlier design introduced in 1834. The first reverse hub has heavy arrowheads that are nearly joined together. 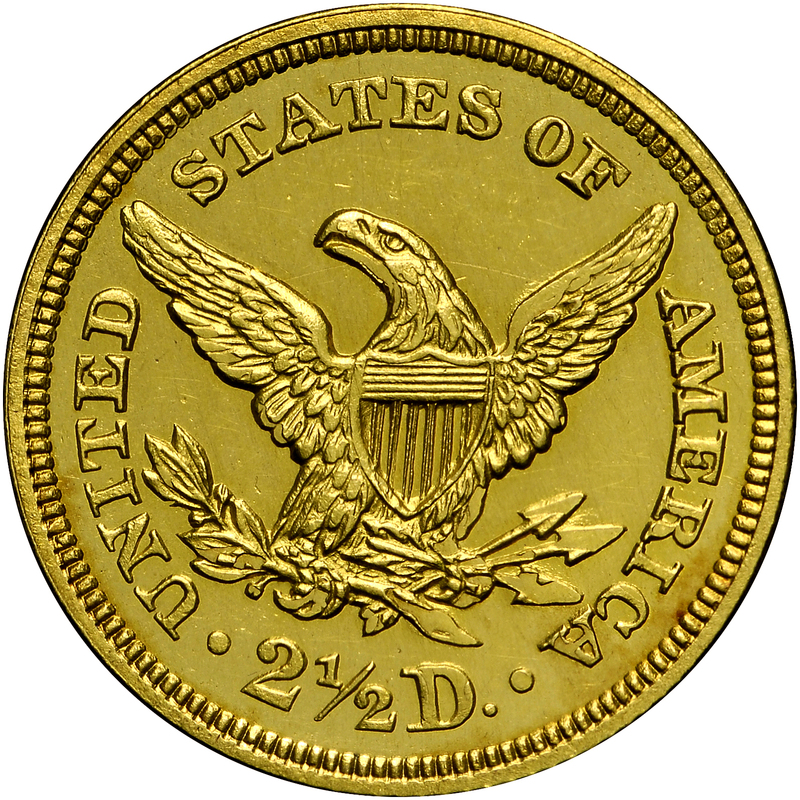 Although this coinage issue is quite common in Mint-State and circulated grades, this Proof example is the only such coin known to exist. Purchased from Abe Kosoff, August 19, 1972. Head of Miss Liberty faces left, wearing a coronet inscribed LIBERTY, her hair in a bun at back of her head, held in place by a beaded cord. Around, 13 stars are evenly spaced with the date below.